$2000 to buy makeup, hairdressings, and beauty tools that she needs for her work. Jumana is a wonderful young woman who tries her utmost to make sure her family lives a decent life. She is a 26-year-old refugee, and the mother of two adorable kids, living with her family in Jericho, West Bank. Her husband works in a hotel where he earns a low income, barely enough to cover all the family needs. Jumana has a small beauty salon. 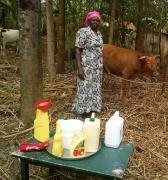 She is very talented in this field and she helps her husband with the family expenses. 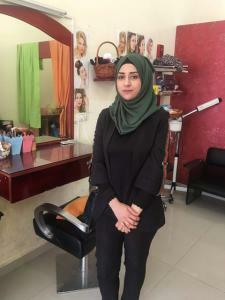 Jumana went to Palestine for Credit and Development, FATEN, to request a loan to buy makeup, hairdressing, and beauty tools that she needs for her work. She hopes you will help by funding her loan. Loan use to buy makeup, hairdressings, and beauty tools that she needs for her work.